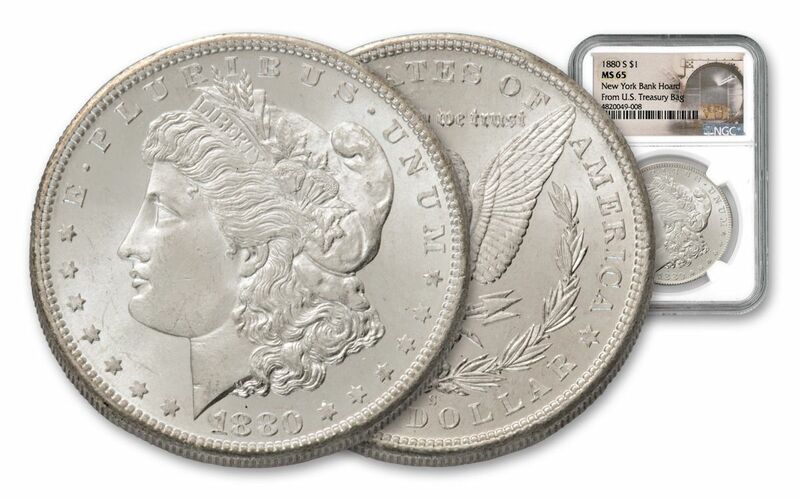 Now you can own a full “roll” from the incredible New York Bank Hoard with a 20-coin set of 1880-dated Morgan Silver Dollars struck at the fabled San Francisco Mint. Not only have these coins been graded by the Numismatic Guaranty Corporation (NGC) as being in stunning Mint State-65 (MS65) condition, but NGC has also sealed each in its own protective coin capsule and added special pedigreed labels certifying that they hail from the famous New York Bank Hoard of U.S. Treasury Hoard Morgan Silver Dollars. That’s a full roll from the last of the Treasury Hoard bags of Morgan Silver Dollars! Plus, each set comes with a 25-slab case and two storybooks. 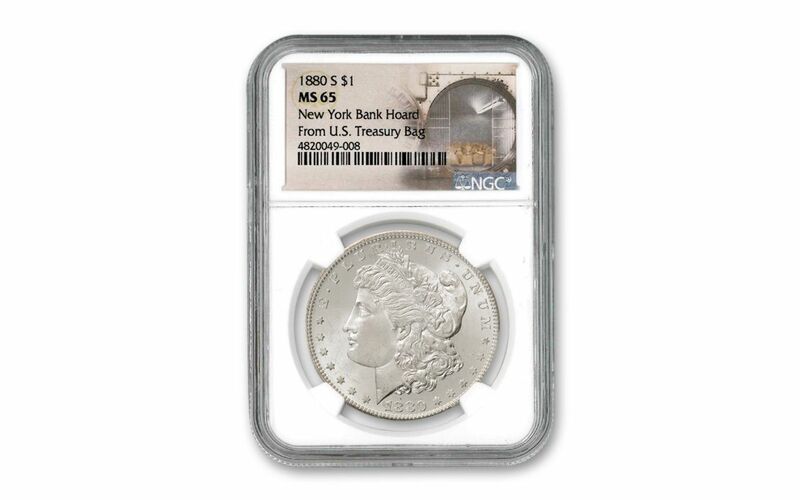 GRADED IN HIGH-GRADE UNCIRCULATED CONDITION – These coins have been certified, graded and encapsulated by the Numismatic Guaranty Corporation (NGC) as being in Mint State-65 (MS65) condition, meaning that they are high-grade coins that are as crisp and fresh as the day they left the San Francisco Mint more than 135 years ago! THE CASE OF THE DISAPPEARING MORGANS – While millions of Morgan Silver Dollars were struck from 1878 through 1921, massive silver meltings and the ravages of time have taken their toll. 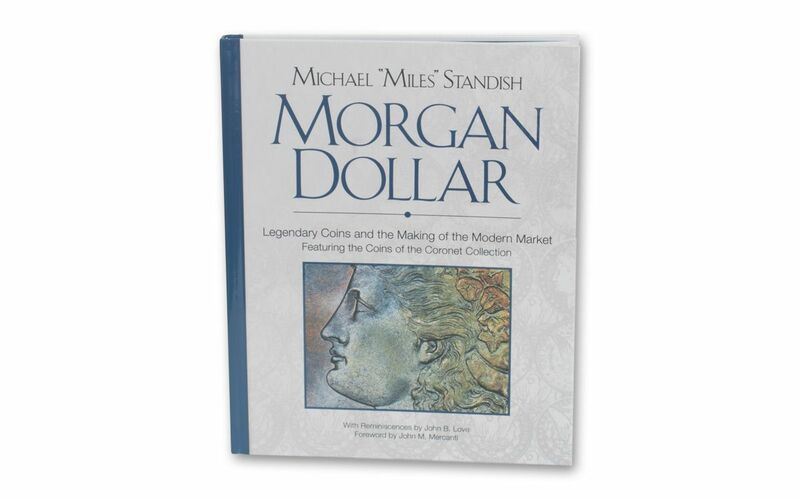 Today coin experts believe that only 15% of all Morgans ever struck remain in existence – and fewer still remain in Mint State-65 Uncirculated condition! 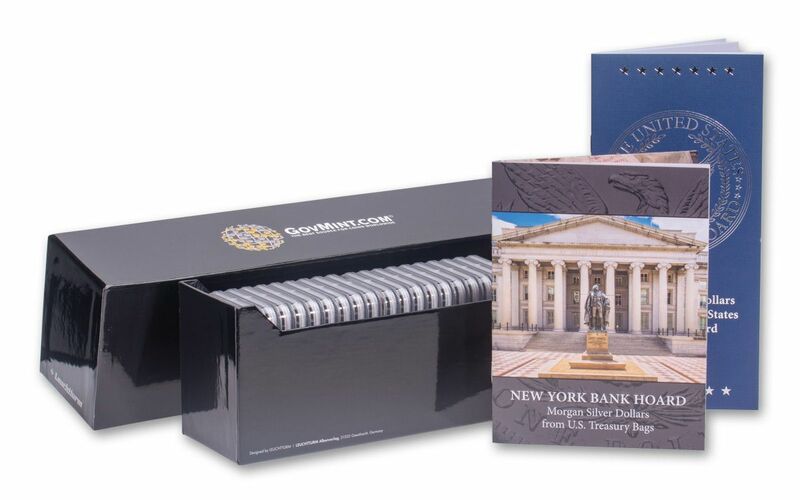 Get your share of the New York Bank Hoard of Morgan Silver Dollars from the original U.S. Treasury Hoard. 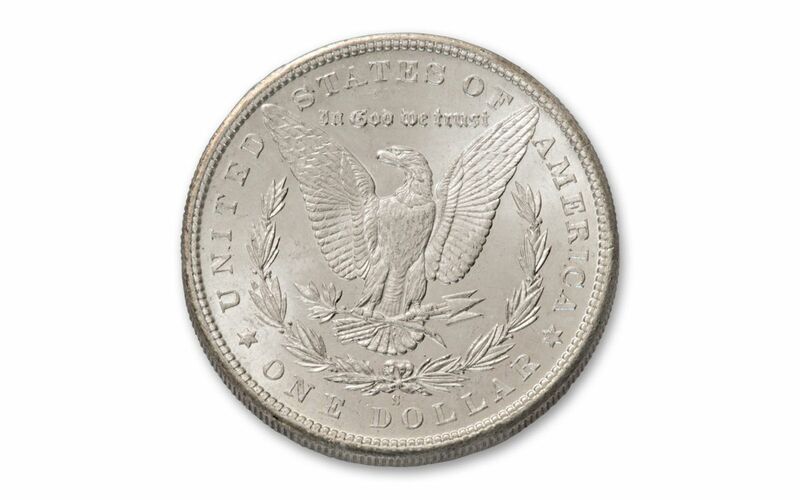 Add this 20-roll of 1880-S Morgan Silver Dollars to your cart right now!